* not valid with any PPO or any other discount plans. Price is valid with absence of periodontal disease. 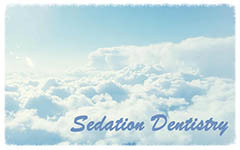 No Fear, No Anxiety Sedation Dentistry! Welcome to Advanced Dental Care Center of Gahanna where we combine compassionate care, advanced techniques, convenient hours with affordable prices. 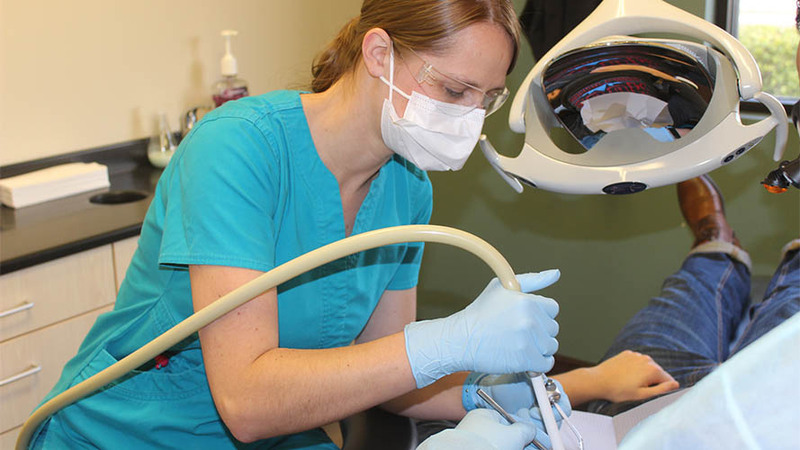 We provide excellent general dental care for the whole family in a friendly environment. 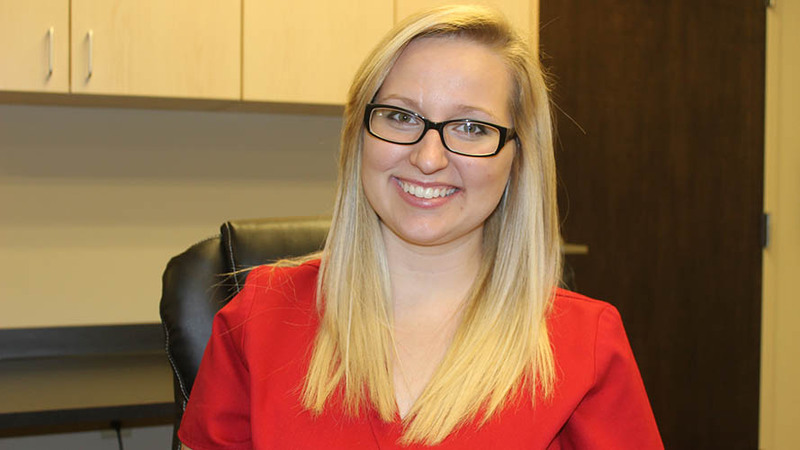 Our welcoming staff will guide you to the healthy, beautiful smile that you have always wanted. 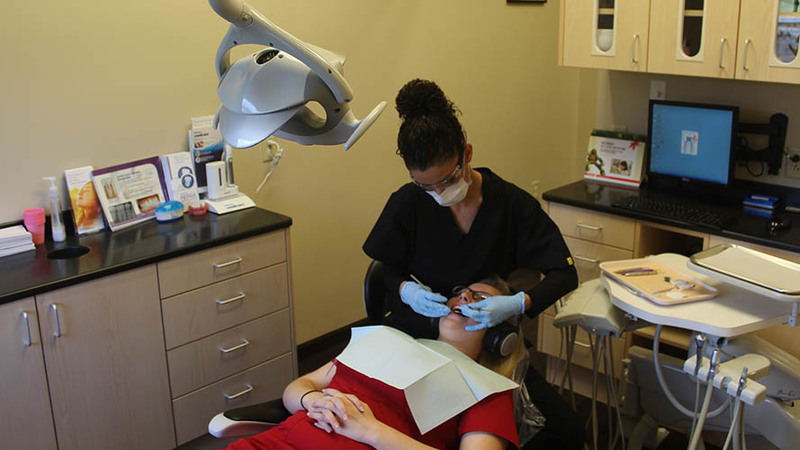 Advanced Dental Care Center is a general dentist office that is conveniently located in Gahanna, Ohio. Come visit our beautiful dentist office to experience our full line of services, including general and cosmetic dentistry. 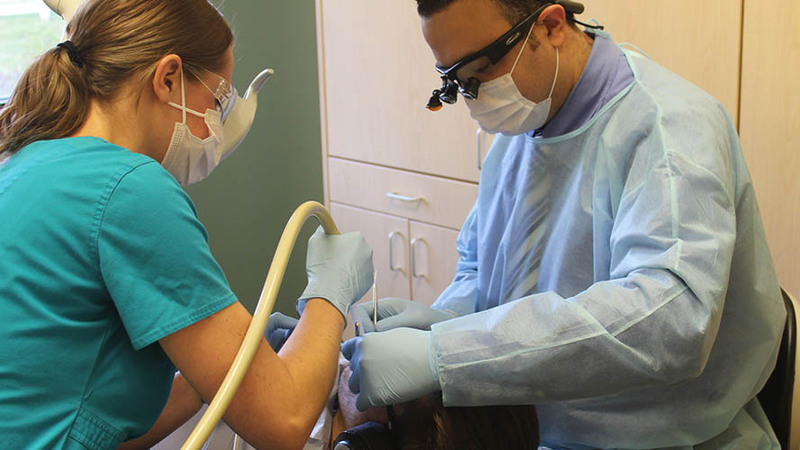 Our Dentistry team is dedicated to providing you with the gentle, personalized care that you deserve. ADCC is a General Dentist in Gahanna, Ohio which is a top rated and highly recommended family, general and cosmetic dentist. Throughout the year we are proud to offer periodic dates for FREE cleanings and checkups for children in low income families. Please don't ignore your children's dental health. Call now to schedule your child's appointment. 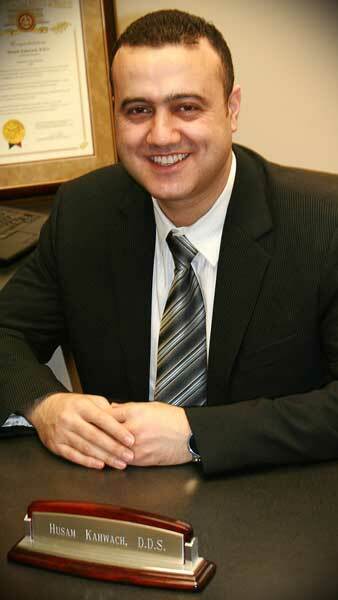 Sam Kahwach, D.D.S., received his doctorate of dental surgery from Loma Linda University of California in 2004. He was on the Dean's List every quarter and ranked First in his class upon graduation. Dr. Kahwach also received several awards, including the OKU Dentist Award, which is the highest honor in dental society. Other accolades include the Lloyd Baum Gold Foil Award and the Clinical Excellence Award. Dr. Kahwach now resides with his wife, Jada, and children, Julia and John, in Gahanna, Ohio. Dr. Kahwach is a member of the American Dental Association (ADA) and the Ohio Dental Association (ODA). He regularly attends continuing education courses in order to bring you the latest that dentistry has to offer, particularly in the areas of restorative, prosthodontics and cosmetic dentistry. In his spare time he enjoys music and sports. 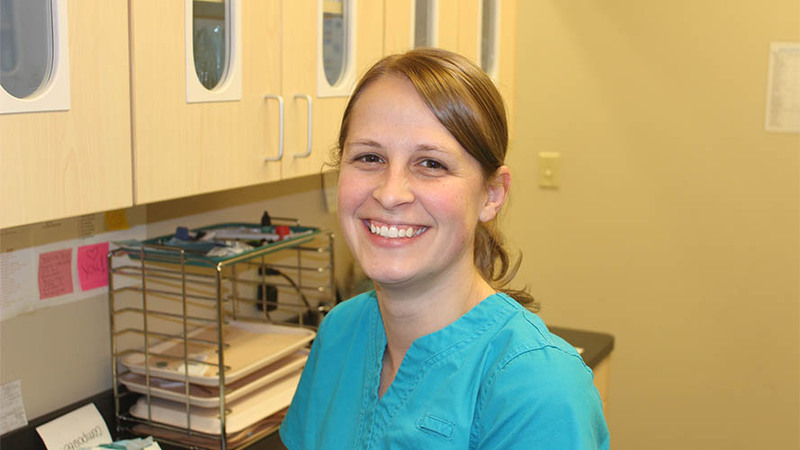 Dr. Kahwach is a general and family dentist who has been practicing general dentistry in Central Ohio since 2004. His reputation for excellence as a dentist is noted among his peers and complements his personal philosophy, which is to provide comprehensive, gentle dental care at the highest level of quality and service. Dr. Sam and everyone in his office [are] extremely nice and caring. They are very understanding of people who are afraid of the dentist. Highly recommend. P.S. They have great hours! Preventive care, regular and deep cleaning. Cosmetic dentistry including whitening, porcelain and laminate veneers. Restorations including cosmetic and amalgam (silver) fillings, ceramic and gold crowns, all types of bridges, inlays, onlays. All types of partials and complete dentures. Selective oral surgeries including simple and surgical extractions, Wisdom teeth extractions, alveoplasty and removing of tori and exosttosis. Selective periodontal surgeries including crown lengthening. If your insurance is not listed, please call to speak with our insurance specialist. We are a new practice so our list of accepted insurances is continuously growing. Payment Plans: We offer CareCredit services in addition to other financial options. We welcome you to our general and family dentist office. Please print, complete and bring your completed form to our office at your first visit. Dr. Sam is the best! He is friendly, professional, extremely skilled, and truly takes pride in his work. Both he and his staff believe in only the highest quality care and that is evident at every visit. His office is clean, up-to-date with the latest technology, and it is an overall extremely comfortable environment. There are even TV's and massage chairs in the rooms to relax and unwind! On top of that, he offers convenient evening and Saturday hours to avoid having to take time off work. I highly recommend Dr. Sam!! Although I rely quite a bit on other's rating of a product or service, I am very bad at giving ratings. After a very thorough research of many dentists in Columbus, I made the decision to make an appointment with Dr. Sam Kahwach and it was the right choice. 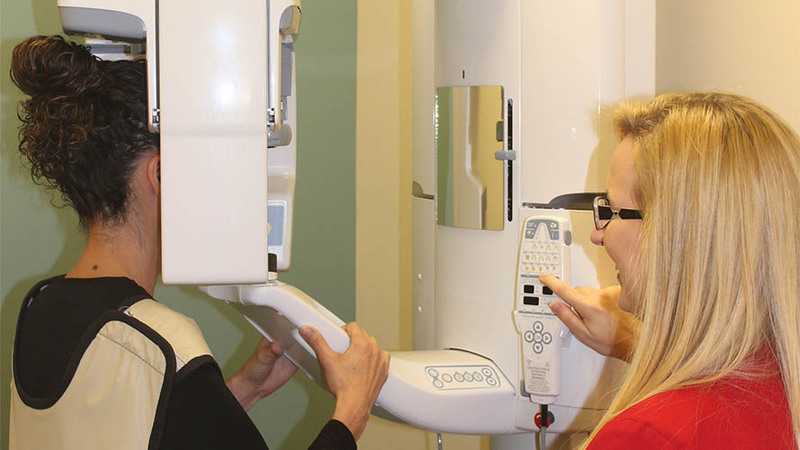 I'm beyond satisfied with Advanced Dental Care Center, Dr. Sam is very attentive to details and takes his time explaining in great detail any treatments or procedures that were needed as part of my overall dental plan. After my first visit, I had a very detailed dental plan that included all the cost estimates which were clearly explained to me and turned out to be very affordable considering everything we got done. Every visit to Dr. Sam's office was extremely pleasant. The staff is very professional and cordial, they definitely care about their patients and strive to make them feel at home. After several visits I even began to feel as though I am part of their family. During my dental sessions, I never felt any pain, even during the initial shot to numb my teeth I still wouldn't even feel the needle. I've completed a 5 month treatment with Dr. Sam and I can definitely say that he will be my dentist for life. I highly recommend Dr. Sam, and I've referred him to many colleagues and friends. Thumbs up! Dr. Sam is an exceptional dentist! He is professional, skilled and peerless in his practice, and a very down-to-earth man who has a great deal of human compassion for his patients. A kind and thoughtful dentist who takes the time to assess and evaluate your individual needs. I was petrified of dentists after a couple of bad experiences, and avoided going to them. After nursing a toothache for over a week, I finally couldn't stand the pain, so my husband looked for the closest dentist, and we walked into Dr. Sam's office without an appointment. His staff was incredible and I was able to see him within a short time. The tooth was infected but he gave me pain medication and antibiotics, and by the next day the pain was gone. He took the tooth out the following week. Since then I have had many extractions and other major work done. He is a sincere, kind, and gentle dentist! In truth, he is the best dentist I've ever had the pleasure to meet! I would highly recommend him to anyone including children, for he is very comforting and considerate. Dr. Sam and everyone in his office is extremely nice and caring. They are very understanding of people who are afraid of the dentist. Highly recommend. P.S. They have great hours! I drive from Dublin just for Dr. Sam. The entire staff is amazing, you will never find a more amazing dentist in the columbus area. This place is the absolute best dental practice I've ever been to! Plain and simple, best Dentist ever. Dr. Sam and his staff are top notch, courteous, and friendly and makes your overall experience feel like no dental visit I have ever had. I love this place. Dr. Sam is an honest and sincere dentist. That is if you want the short version, If you wanna hear the whole story then here it is: A few weeks ago, I visited a big multi dentist dental office for a check up and cleaning, I left the office with a 00 treatment plan! I was confused and disappointed and honestly couldn't afford all of these crowns! So I decided to get another opinion. I visited Dr. Sam and I didn't tell him about my other treatment plan. Dr. Sam did the exam and informed me that I need one filling replaced and that was it!! I left his office surprised but was impressed by how gentle and welcoming he is. I liked how he spent time with me and showed me my x-rays. Nobody ever did that to me before. Anyway, I was still having doubts about who was right, so I decided to find out. I visited the dental school at OSU, and I insisted on having an instructor examine me after the student did and again, I didn't tell them about what brought me there. I left the dental school with a treatment plan of one filling! Dr. Sam will be probably be surprised to read my story because I didn't tell him what happened, but I feel lucky that I finally found an honest dentist and he will be my dentist forever! Dr. Sam is Wonderful!! I definately recommend this clinic; the staff are highly professional. The moment you walk in, you feel welcome; they are very friendly and work with you even if your schedule is hectic- you will have absolutely no wait time including on weekends and/or late hours. Dr. Sam is so warm and caring and gives you all the time you need when you go to see him. This is not only a state of the arts facility but Dr. Sam and his staff makes yourdental visit a pleasant one. Top Dentist!! Dr. Sam has been my dentist for almost 10 years and I recommend him and his practice to EVERYONE! The flexible and extended hours offered at ADCC allows me to schedule appointments that are convenient for me and the staff is always enjoyable to see. When you walk in the door, you immediately know that cleanliness and comfort is important here. Not only does Dr. Sam ensure that you are always as comfortable as possible during every procedure, but the massage chair and cable TV certainly do not hurt. The knowledge and patience at this practice is top notch! They take the time to answer all of your questions and ensure you are able to make an educated decision regarding all of your dental options and needs. The amazing part, Dr. Sam learns the dental preferences of each patient quickly and he pretty much already knows what you�re going to decide before you even say it! I have been going to Dr. Sam for a long time and not only trust, but relay on his expertise. Now when I go to the dentist, I don�t feel like I�m just seeing a doctor, but a really good friend that just happens to be an expert in the dentistry field...5 stars Dr. Sam and ADCC!!!!! Everyone is a pro at what they do and so friendly, too. I had a great experience. Dr. Sam did an excellent job. I've never had to wait. Love the massage chairs and TV with headphones. 5 stars across the board. My daughter, wife and i are all patients of Dr Sam for the past 4 years, and want to know where he had been all our lives! Well, we know... he was too young and studying to be a doctor! Anyway, we look forward to our visits to Dr Sam's office. He is very genuine, efficient and could teach a course on bedside manners to many doctors we have seen! His technical and administrative staff are also very friendly and efficient. And that is no accident, because my family believes that it all starts at the top! We would (and do) recommend Dr Sam and his practice to anyone that needs dental care... which is... everyone, right? Dr. Sam Rocks!! I had braces put on to close a very large gap I had between my front two teeth. Well my orthodontist did just that closed up the very large space. I needed a crown on my front tooth, due to some trauma I had on it during my teenager years. I went to one dentist, and with my State dental insurance the cost was unbearable. I looked online to try and find a dentist more reasonable and stumbled upon Advanced Dental Care. It was weekend hours and the office manager Melissa spoke with me and was able to schedule me an appointment. Okay, I don't want to be so long winded. Dr. Sam put a temporary crown on my tooth, until the permanent came in. I went back to my orthodontist to see if I could get fitted for my retainer, and he said he was VERY impressed with the temporary crown Dr. Sam had put on. He even had one of his 20 assistants come over to look at my temporary crown in amazement. Dr. Sam asked me if I liked the way my teeth were shaped? I couldn't figure out what it was about my teeth after my braces that I didn't like. He nailed it!!! I have the most beautiful smile I have ever seen and I didn't have to sale my son for it. I said all of that to say this, you will NOT find another dentist better, and I'll bet your co-pay on that! Good Luck To All!! And thanks again Dr. Sam, Sam and Melissa. S/N: I attached pictures of the first day I got my braces off, and the day after my temporary was put on by Dr. Sam. 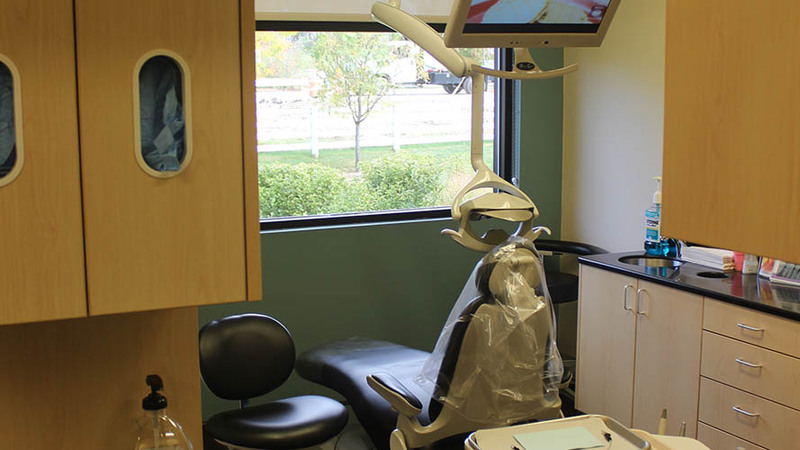 Advaned Dental Care Center is highly professional. I decided to come to Advanced Dental Care Center after having a very bad experience with my last dentist, and his staff. When I walked into this office I felt very welcomed and relaxed immediately. Dr. Sam was very personable, and has a very high standard of patient care, HE IS AN AMAZING DENTIST! They were very accomidating to my work schedule. I have already brought the rest of my family toAdvanced Dental Care Center, and would highly recommend this office. I have been a patient of Dr. Sam for several years. I can say without hesitation that he is the best dentist who truly cares about his patients' dental health. Dr. Sam and his staff are always pleasant, professional and thoroughly understand my particular needs regarding my dental health. The office is orderly, safe, and inviting - the massage chairs are awesome! I recommend the office to all my friends close and far ( I drive 45 minutes one way because he's that good! ) Give him a try, you will not be disappointed. Dr. Sam is fantastic! He is very caring and more than willing to answer all of your questions. He also makes sure you are completely informed about what needs to be done and why. 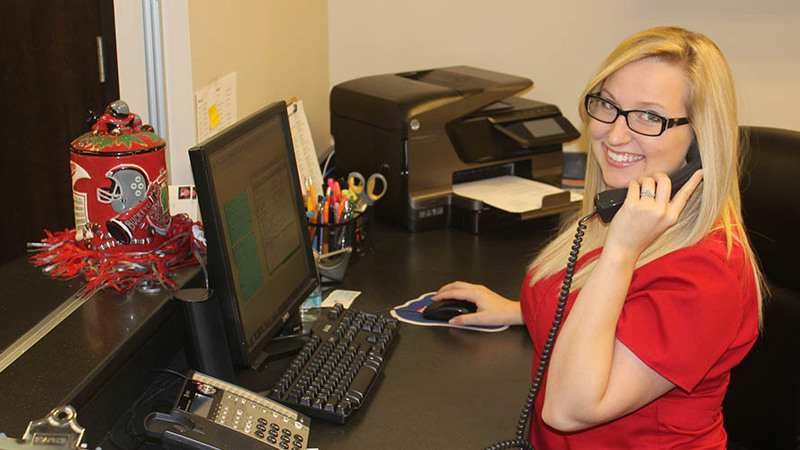 The office staff is also great, very friendly and helpful (especially when it comes to billing). On top of all that, you can tell it's a state of the art office with all the newest technologies. I literally don't have enough good things to say about this practice, I would highly recommend Dr. Sam to anyone looking for a dentist! The BEST dentist! As a former dental office manager for a large dental corporation, I know many dentists. My family and I go to Dr. Sam's office because he is simply the best dentist. From my elderly neighbor, to my too-cool teenager, to my toddler who won't sit still -- Dr. Sam is amazing with patients of all ages. I also know a dental lab owner who takes his family to Dr. Sam's office. Dental labs see work from over fifty different dentists, and the lab owner obviously chooses the best dentist to care for himself and his family. Dr. Sam's entire staff is friendly and informative. Dr. Sam is thorough, honest, and his work looks amazingly natural. I have had a wonderful experience with Advanced Dental Care. Everyone at ADC goes out of their way to make sure you are comfortable and at ease for every procedure. Also, they helped me handle the insurance claims easily and effectively. I used to be hesitant when going to the dentist, but Advanced Dental Care and Dr. Sam Kahwach has without a doubt removed any remnant of my dental-phobia. I would feel comfortable referring any family or friends without any reservations. My son, daughter, and I are Dr. Sam Kahwach's patients. Recently, we were driving to Advanced Dental Care Center in Gahanna. My son said that he loves his dental visits. I asked him, on a scale of 1-10, how much he loves ME? He answered, "BMS." I said, "what does that mean!!??" He said, "BROKE MY SCALE." That's what we think of Dr. Sam. I used to dread going to the dentist. Ironically, since I became a patient 9 years ago, I look forward to my dental visits. Dr. Sam is incredibly dedicated to his work. He is very ethical, extremely proficient, and honest. Moreover, his staff is caring, kind, gentle, and accommodating. I have had root canals, crowns, extractions, and fillings. Included in his work, are my once broken and now perfect front teeth!! I am thrilled with the results. I recommend Dr. Sam to EVERYONE! On a scale of 1-10, he is BMS...Broke My Scale. He truly is that GOOD! Dr. Sam is an amazing doctor. I have always refused to go to dentists because of the price and how some of the doctors are. It wasn't until i had an extreme tooth ache and it needed to be removed. My boyfriends dad referred me to Dr. Sam and i was a little unsure of how it was going to go. They got me in that next day to look at my tooth. Dr. Sam and his staff did an amazing job and addressed the tooth that was hurting. He did not judge my teeth or tell me what else i needed to do. We got the tooth pulled and after it was pulled we then went through the steps we needed to go through to get my teeth looking good again. They went over the insurance how much it would pay and they tried to make it as easy on me as they possibly could. I live about an hour away from Dr. Sam, but it is well worth the drive because i know i am getting the best service and that everyone that works there makes you feel comfortable! I really enjoyed my time at the office. I liked the massage chair and the personal care from Sam K. Thank you for making my first time there a good experience. My experience has been all positive with Dr. Sam and his staff! One of my experiences was when I had an infected tooth. Not only did he take x-rays but sent me to get x-rays at where I had the root canal done on that tooth to compare it to the original prior to the root canal. Unfortunately, there was deterioration. I was trying to hang on to the tooth as long as I could, took antibiotics, used lysterine, everything possible, but Dr. Sam knew it would be temporary. I was hesitant on getting the tooth extracted. When the time came when I needed to have it done, I was leary, scared, PETRIFIED about having my tooth pulled, not only for aesthetic reasons, but the actual extraction process...having braces before and having 4 teeth pulled brought back terrible memories. Dr Sam was cognizant of my worries. I wore headphones and watched tv and was comforted by a massaging dental chair during the entire process. I couldn't hear what was going on, that gruesome noise of twisting and pulling on the tooth. After a short period of time, he said he got the crown off and he was going to get the rest out. Then he surprised me by saying he got the tooth out already! I was so relieved! It was painless and worry free! Dr Sam has the best credentials than anyone in the city, ranking 1st in his class upon graduation from dental school and has won prestigious awards. He is friendly and does the job right. The dental hygienist is superb and the staff is so nice. I would recommend Dr. Sam to anyone who is looking for a great dentist! Dr Sam has been my Dentist for many years and I have had alot of dental work done. I could not be happier in any other dental office he is very gentle, knowledgable, and very caring. His staff are honestly the best I have seen in any medical office ever. I rarely write a review online but I am writing this one now because I highly recommend Dr Sam for anyone who is looking for a new Dentist. 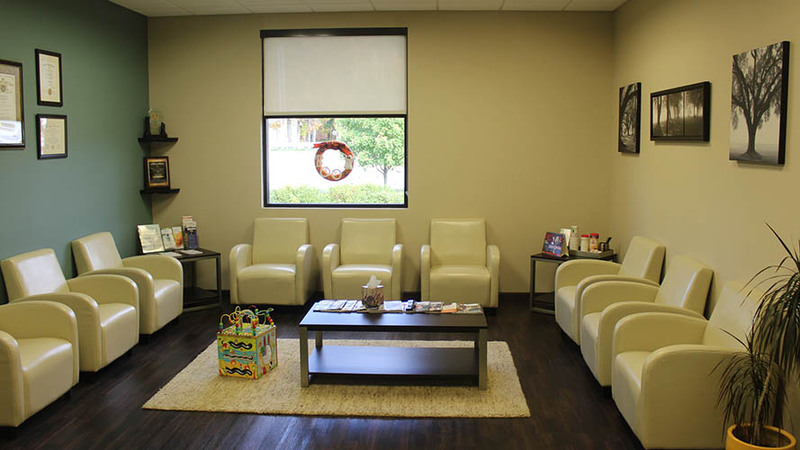 You walk in a [quiet] and nice reception area that calms any nervous patient down. After that you deal with pleasent staff with constant smile and good care. Then you get a treatment from a knowledgable doctor that is able to reduce your pain with his personality as much as he does with his technique. Finally you end up having the best dental care and you will reffer a friend and rate it like I did. The moment you walk in, you feel welcome; they are very friendly and work with you even if your schedule is hectic- you will have absolutely no wait time including on weekends and/or late hours. Dr. Sam is so warm and caring and gives you all the time you need when you go to see him. 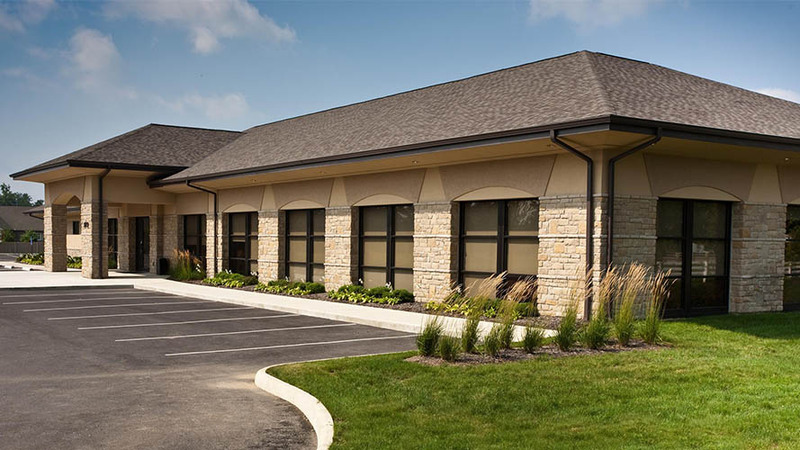 This is not only a state of the arts facility but Dr. Sam and his staff makes your dental visit a pleasant one. Top Dentist!! Well my orthodontist did just that closed up the very large space. I needed a crown on my front tooth, due to some trauma I had on it during my teenager years. I went to one dentist, and with my State dental insurance the cost was unbearable. I looked online to try and find a dentist more reasonable and stumbled upon Advanced Dental Care. It was weekend hours and the office manager Melissa spoke with me and was able to schedule me an appointment. Okay, I don't want to be so long winded. Dr. Sam put a temporary crown on my tooth, until the permanent came in. I went back to my orthodontist to see if I could get fitted for my retainer, and he said he was VERY impressed with the temporary crown Dr. Sam had put on. He even had one of his 20 assistants come over to look at my temporary crown in amazement. Dr. Sam asked me if I liked the way my teeth were shaped? I couldn't figure out what it was about my teeth after my braces that I didn't like. He nailed it!!! I have the most beautiful smile I have ever seen and I didn't have to sale my son for it. I said all of that to say this, you will NOT find another dentist better, and I�ll bet your co-pay on that! Good Luck To All!! And thanks again Dr. Sam, Sam and Melissa. S/N: I attached pictures of the first day I got my braces off, and the day after my temporary was put on by Dr. Sam. Dr. Sam is fantastic! He is very caring and more than willing to answer all of your questions. He also makes sure you are completely informed about what needs to be done and why. The office staff is also great, very friendly and helpful (especially when it comes to billing). On top of all that, you can tell it's a state of the art office with all the newest technologies. I literally don't have enough good things to say about this practice, I would highly recommend Dr. Sam to anyone looking for a dentist! I went to ADCC for teeth whitening before my wedding. Things were super busy the week before my big day and I accidently double booked appointments. I called ADCC and they were extremely accommodating in rescheduling my appointment for the next day and the staff was pleasant even though they were at the office until almost 9 PM finishing my treatment. I highly recommend Dr. Sam and his staff to EVERYONE!! The most compassionate and caring dentist I have seen. I have been putting off getting my much needed dental work because of my fear of the dentist, and also my busy work schedule. When I called to make my first appointment I was prepared to be scheduled very far out, and I also had my work schedule out to see what day I could take off. When I learned about there evening and weekend hours I was shocked! I have never heard of a dental office having such flexible hours, and they could get me in very quickly.When I arrived for my first appointment I was very impressed by the beautiful office and had a very friendly and warm welcome by the staff. They made me feel like I was right at home and they put my mind at ease. I didn't even have to wait to be seated. I explained to Dr. Sam why I had been putting off my dental work, he was very understanding. I have not seen a doctor with such amazing chairside manner. He made me feel very comfortable and secure. The only thing that I was still worried about was how many appointments I would have to make. Dr. Sam told me about oral sedation. He said that I could minimize the number of appointments and also overcome my fear of dentist. My first thoughts were the price and the safety. Dr. Sam informed me that oral sedation is very safe and effective. The price was very affordable as well. I ended up being able to get all of my work done in one appointment by using sedation. I was 100% relaxed and pain-free. I would personally like to thank Dr. Sam and his team for all of kindness, and flexibilty. Without this office I would still be in need of a lot of dental work. I recommend Advanced Dental Care Center to everyone! I was referred to Dr.Sam's office by a very good friend of mine and it is a good thing I went there. Dr. Sam made me feel like he was my dentist all my life. His dental work is superior to any dentist I have been to before. I am extremely happy with everything. office staff was also very nice and helpful. They know what they are doing over there. I highly recommend this office to everyone. Many doctors especially dentists are so money centric, I had many bad experiences, but not this guy, he is all about the patient. Young super nice guy, eager to make you feel at home, relax atmosphere, awesome equipment, painless execution, even my daughter enjoyed the experience after a tooth pulled and a cavity. I got a molar pulled and it was done quick and painless. If you are in an endless search for a great dentist, this is your guy. My husband and I had not been to the dentist in a lonnngg time and had our first appointment at Dr. Sam's office today and we HIGHLY recommend this practice!! When we scheduled the appointment, Eva, was friendly, kind, and shared great information about the office and procedures. She also checked on us several times while we were getting work done! She made checkout easy and explained everything to us in great detail! When we walked in today, everyone was warm, friendly, and knew how to deal with our high anxiety in the most caring way! Both Linda and Lisa were so gentle, skilled, and also shared great information with us! We knew we just had to get over the fear of going for the first time in a while and now we are actually EXCITED to go back!!! Dr. Sam answered all of our questions and instantly makes you feel comfortable! The massage chairs and tv in the room are also bonuses!! We have never written a review for anything before - but I knew I had to rush home and write one for this wonderful dentist experience! Thanks Advanced Dental Care!! The zoom whitening experience was great! Fantastic, friendly staff with nice offices. I would highly recommend the procedure. (Certified) For a dental appointment, it was an enjoyable experience. I will be back and tell all the folks I know who are looking for a dentist. (Certified) ADC Dental was a great experience for me, I will be back soon! Very modern, clean, office. Staff was very friendly and answered all of my questions. Everyone was so friendly and accommodating but best of all it was painless! There's no guarantee of specific results and results can vary. Please see our full site for a complete list of testimonials.